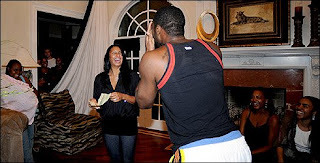 CreaTiff Chatter: Let's Talk About Music: Gilbert Arenas Engaged!! 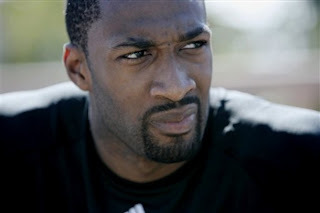 Washington Wizards Gilbert Arenas aka Agent Zero is an engaged man. Check out how it all went down. Lovin' it!! You all want to hear about the big moment, huh? It started off as a surprise birthday party for my girlfriend, Laura. The party was on the 20th and her birthday is on the 21st. To set up the surprise party, I had to figure out how to surprise somebody who wants a surprise party? I mean, how do you do that? Basically, you start off with a whole bunch of lies. That’s how you do it.